Weber's compositions for woodwind instruments occupy an important place in the musical repertoire. His compositions for the clarinet, which include two concertos, a concertino, a quintet, a duo concertante, and variations on a theme (posthumously), are regularly performed today. His Concertino for Horn and Orchestra requires the performer to simultaneously produce two notes by humming while playing—a technique known as "multiphonics". His bassoon concerto and the Andante e Rondo ungarese (a reworking of a piece originally for viola and orchestra) are also popular with bassoonists. Weber was born in Eutin, Holstein, the eldest of the three children of Franz Anton von Weber and his second wife, Genovefa Weber, a Viennese singer. The "von" was an affectation; Franz Anton von Weber was not actually an aristocrat. Both his parents were Catholic and originally came from the far south of Germany. Franz Anton began his career as a military officer in the service of the Duchy of Holstein, and after being fired, went on to hold a number of musical directorships. In 1787 Franz Anton went on to Hamburg where he founded a theatrical company. In 1803, Weber's opera, Peter Schmoll und seine Nachbarn (Peter Schmoll and his Neighbors) was produced in Augsburg, and gave Weber his first success as a popular composer. In 1810, Weber visited several cities throughout Germany; from 1813 to 1816 he was director of the Opera in Prague; from 1816 to 1817 he worked in Berlin, and from 1817 onwards he was director of the prestigious Opera in Dresden, working hard to establish a German opera, in reaction to the Italian opera which had dominated the European music scene since the 18th century. On 4 November 1817, he married Caroline Brandt, a singer who created the title role of Silvana. In 1819, he wrote perhaps his most famous piano piece, Invitation to the Dance. Weber was already suffering from tuberculosis when he visited London. He died of the disease whilst at the house of Sir George Smart during the night of 4/5 June 1826. Weber was 39 years old. He was initially buried in London, but 18 years later his remains were transferred to the family burial plot in the Old Catholic Cemetery (Alten Katholischen Friedhof) in west Dresden. The simple gravestone was designed by Gottfried Semper and lies against the northern boundary wall. The eulogy at the reburial was performed by Richard Wagner. Weber's piano music all but disappeared from the repertoire. One possible reason for this is that Weber had very large hands and delighted in writing music that suited them. There are several recordings of the major works for the solo piano (including complete recordings of the piano sonatas and the shorter piano pieces, by Garrick Ohlsson, Alexander Paley and others), and there are recordings of the individual sonatas by Claudio Arrau (1st Sonata), Alfred Cortot (2nd Sonata), Sviatoslav Richter (3rd Sonata) and Leon Fleisher (4th Sonata). The Invitation to the Dance, although better known in Berlioz's orchestration (as part of the ballet music for a Paris production of Der Freischütz), has long been played and recorded by pianists (e.g., Benno Moiseiwitsch [in Carl Tausig's arrangement]). Invitation to the Dance also served as the thematic basis for Benny Goodman's swing theme song for the radio program Let's Dance. 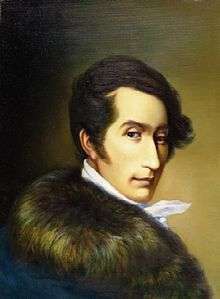 For more details on Weber's compositions, including complete lists of his works in order of opus number and Jähns catalogue number, see List of compositions by Carl Maria von Weber. ↑ Max Maria Weber, Carl Maria von Weber: The Life of an Artist, translated by John Palgrave Simpson, two volumes (London: Chapman and Hall, 1865), 1:52, 62, 94, 137, 143, 152, 177, 211, 244, 271, 278; John Warrack, Carl Maria von Weber, second edition (Cambridge, New York, and Melbourne: Cambridge University Press, 1976), 67, 94, 107, 141. Weber, Max Maria (1865). Carl Maria von Weber: The Life of an Artist, translated by John Palgrave Simpson. Two volumes. London: Chapman and Hall. "Weber, Karl Maria von". New International Encyclopedia. 1905. "Weber, Carl Maria Friedrich Ernest von". Encyclopædia Britannica (11th ed.). 1911. "Weber, Karl Maria von". The New Student's Reference Work. 1914.